Nerve regrowth in the peripheral nervous system is dependant on type of injury. Functional disability due to nerve lesions is intertwined with severity of lesion. Before reading this article it would be advised to have a good knowledge of the type of lesion and the denervation consequences . Please read Classification of Peripheral Nerve Injury as an introduction to this page. Peripheral nerve injuries have numerous causes including: traumatic injuries; infections; metabolic problems ( one of the most common causes is diabetes mellitus); inherited causes; exposure to toxins; tumours; iatrogenic causes. Clinical presentation varies according to the nerve affected ie sensory, motor, or combined. massage eg aromotherapy massage, in studies, has shown to help manage neuropathic pain and increase QOL. Many differing massage techniques have been employed showing benefits for pain management and QOL. TENS.Application of TENS has been found to be of benefit in pain reduction in neuropathic pain. It was found to be of benefit if used at 100hz in constant mode. Low Level Laser Therapy (LLLT). Studies has found this to be of benefit in pain relief and acceleration of healing in treatment of neuropathic pain and neurological deficits as an adjuvant therapy. A consequence of denervation is muscle atrophy and functional deficits. 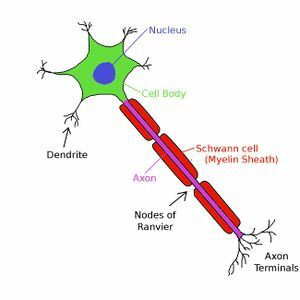 The healthy neuromuscular junction (NMJ) is critical for nervous control of muscles. TENS has been seen in numerous studies to have a positive effect on maintaining NMJ health and in prevention of muscle atrophy.A 2018 study found the use of TENS was most beneficial if delayed to one week post trauma, the use of 100hz being most beneficial. Muscle care is of utmost importance to prevent damage to muscle units, in particular prevent: heat or cold trauma; over stretching by gravity or incorrect lifting/transfer techniques; contractures of muscles. The below video clips give a good guide to proper handling techniques involved in passive ROM. Techniques employed by physiotherapist to achieve the above goals are massage, US, hydrotherapy, splints, passive ROM stretches and correct transfer skill education. When muscle strengthening exercises can commence it is important not to damage the healing nervous tissue, if pins and needles, numbness or increased pain occurs the exercise is too hard and can have a negative effect on healing. A recent study found that exercise can enhance axonal growth via a neurotrophin-dependent mechanism affecting adult dorsal root ganglion neurons. Aerobic activity should also be encouraged ( aiming for 30 minutes 4 times a week) for its’ known health benefits. In the relearning of functional tasks the brain is utilised to regain visio-tactile and audio-tactile interaction. In the upper limb the focus is on fine motor skill learning. In the lower limb balance and coordination are areas of focus. In sensory stimulation pinching and tapping, brushing and icing are regularly used. Proprioception deficits can be improved using eg exercise balls, balance pads for WB activities, juggling balls for upper limbs, yoga,Tai-chi. see Otago balance program as an example of a good balance program. The soft tissues of the region and adjacent regions supplied by the damaged nerve are at risk of contractures if left in shortened positions. Regular daily massage, PROM exercises are needed on a daily basis. Protective removable static splints are also useful in contracture prevention. For joints that have become stiff ultrasound and laser are of useful therapies. Chronic neuropathic pain has a life debilitating effect causing emotional stress and reduced QOL. To properly treat a client with neuropathic pain this must be respected. The ultimate goal is not simply to reduce pain, but to achieve better QOL. This can only be achieved if the depression, anxiety and sleep disorders are also addressed.